Unbelievably, the writer of the thuddingly unsubtle script was two-time Academy Award nominee Carl High Noon Foreman who easily made the list of Hollywood’s top screenwriters in the late Forties and an altogether more tragic list, that of the infamous Hollywood Ten blacklisted after Senator McCarthy’s House Committee on Un-American Activities (HUAC) communism hearings. Foreman had been a communist back in the 1930s and despite insisting that he left years ago in disillusionment, was courageous enough to resist informing on his fellow professionals. As an unfriendly witness, he spent six years frozen out of the business, at least gaining Oscar nomination recognition for his 1952 High Noon script, and was forced to leave for England where he earned a second successful career as a producer. Back in 1941, there was little kudos for corralling the wild steers of the East Siders within the micro-budgeted confines of a Monogram screenplay. After some clumsy scene-setting stock footage of New York, the surly Kids are manhandled by two cops into the hands of Jeff Dixon (Dave O’Brien reprising his guardian role in all but name from their earlier films). “They may be underprivileged but they sure ain’t underdeveloped” observes one cop. He can say that again – these teen-playing scoundrels would go on in a similar vein, later as the Bowery Boys for almost another two decades. album - look two to the left of Bob Dylan on the back right). The Kids’ school bus pulls into the burg of Hillside where the first hilariously duff note of the movie is struck by the announcer over the diner’s radio, who cuts into the quaint instrumental program to tell the Kids that the infamous Monster Killer is on the loose (so evil he requires two adjectives), intones flatly that he’s committed “three inhuman murders” and then blithely returns listeners to the twee music. Our cup of crapness runneth over in fact as this sequence is quickly followed by my favourite, a corker of inept brilliance. Lugosi drives up to greet the gas-station attendant displaying his polished persona of urbane, evening-suited gentleman. He is partnered by Luigi the mute dwarf (Mad Max Beyond Thunderdome’s Angelo Rossitto) and towing a loaded trailer of three coffins to imprint a cunning cheapo Dracula production value by association. 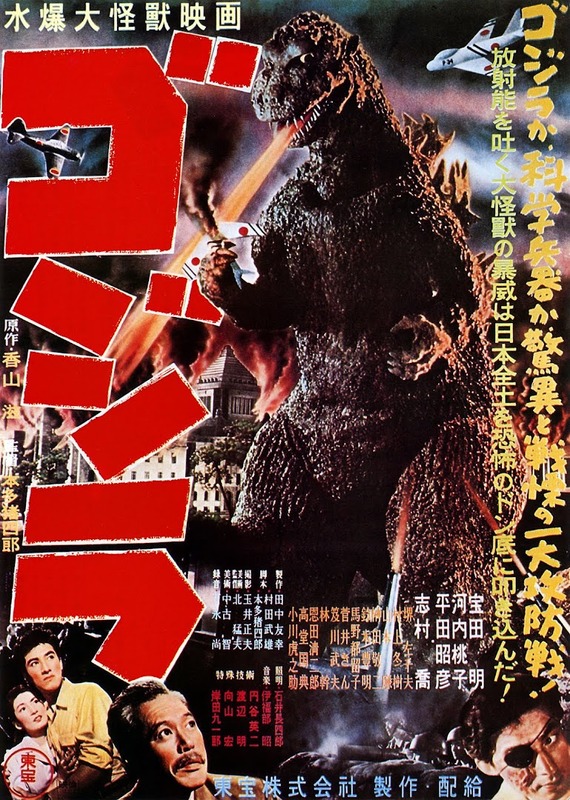 As he drives off with directions for the abandoned Billings House, the attendant shows a stupefying ability to make connections of his own when the next customer turns up, immediately identifying the driver as the eminent Dr Van Grosch (East Side Kids regular Dennis Moore) and calmly informing him that the last customer was his nemesis, the Monster Killer. “This knowledge you possess. You’ve gained it all from that book?” asks the wooden Doctor with considerably less interest than seems appropriate. After all, either the attendant is a remarkable clairvouyant who’s wasted pumping gas or he’s somehow gone meta and is reading from a bound version of the atrocious script. It isn’t long before they go out and get themselves lost in the local cemetery after Leo Gorcey’s Muggs tries to sneak out on a date with the diner waitress. Unfortunately, instead of helping them with directions, the gravedigger prefers to let them have a shotgun blast that wounds Peewee (David Gorcey, brother of Leo). This employee clearly needs supervision as Lugosi himself has also nearly fallen victim to his overexcited shoot-first policy. The Kids help poor Peewee to the nearest house which just happens to be occupied by Nardo (Lugosi). He offers to host them and treat Peewee rather than call the police, providing the boys leave their friend alone with the older stranger. Having no choice (where’s that guardian when you really need him? ), they casually agree. 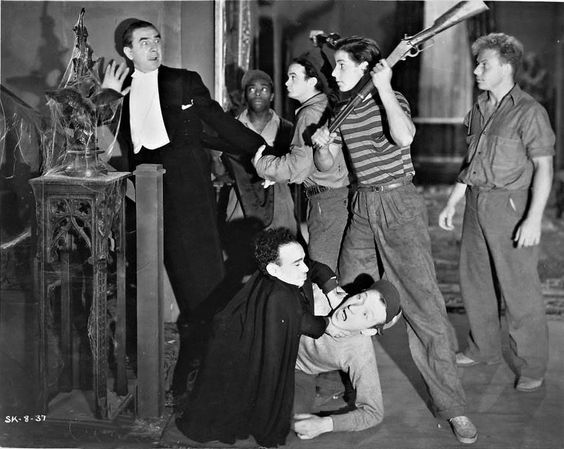 To be fair to Lugosi, he amiably submits to these young hooligans’ tomfoolery like an indulgent uncle babysitting naughty kittens for an afternoon. All bonhomie, he savours a line playfully where he can. “Good-niiiight”, he lingeringly teases Sunshine Sammy’s Scruno upon leaving the Kids to their bed-time. 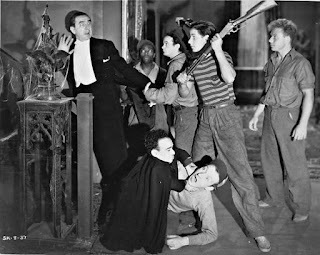 Never ones to miss a mark with his guard down, the suspicious boys launch at Lugosi with an in-jokey: “Okay, Mr Horror Man!” Well I say Lugosi, but it’s an obvious stunt double replacing him in the brawl. Credit Monogram with permitting the fading Hungarian star to retain an atom or two of his fast-eroding professional dignity. The Kids lock Nardo in a room, yet such is the plot’s shoddiness (or his dexterity) that he emerges straight away to continue terrorising them individually. Luigi then torments Scruno with an overhead toy spider on a wire and then a floating skull, all the horrific power of a child’s crib mobile. In this last act, Nardo’s milk of human kindness appears to sour. Our inner horror-hound howls as he switches to that trademark Hard Hypnotic Stare mode that signifies he means grim business - at least he would do if the cinematographer hadn’t bathed his close-up with a slapdash wash instead of any subtlety of light around his eyes. The clunking becomes literal when two suits of perambulating armour are revealed to contain Gorcey and one of his pals. Meanwhile – remember the Doctor? Finally he arrives on the scene, having presumably been behind the wheel of the world’s slowest car to get there so late in the movie. It is then, following a supreme burst of non-threatening threat from him toward the boys’ Nurse Linda (Dorothy Short) that we discover he was the Monster Killer all along. It is left to Gorcey to unload a terribly unwieldy sack of high-speed exposition to fill in the ramshackle hick police posse and the audience. Lugosi’s Nardo, as his name and quasi-supernatural extrications hinted, was in reality a magician needing somewhere private to practise. We are then treated to a little vanishing act epilogue of his impromptu stage show, finishing with Gorcey snuggling up unwittingly to Scruno. 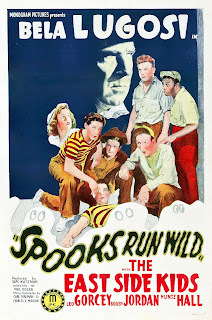 Cuddling your fellow gang member is the lightest punishment dished out by Spooks Run Wild, truly shocking in quality not horror content, but for all that an amusing ride in an inadvertently collapsing jalopy with a rare, good-natured Lugosi character for a companion.